One care home manager has highlighted the difficulty in finding a dentist who will visit the care home to see residents with dementia. According to Carehome.co.uk, Paula Munday has written to Andrea Leadsom, MP for Northamptonshire South, asking her to intervene and encourage health and social care secretary Jeremy Hunt to introduce measures to ensure that those living with dementia in care homes are given the same access to dental treatment as other elderly people. Ms Munday raised the issue after struggling to find a dentist who would visit the care home she manages in Banbury, and that when she did find one, he told her it would cost £500 plus petrol costs for him to visit the home. She added that it isn’t only about taking care of basic dental issues, but about having residents screened for more serious problems like mouth cancer – something that only a qualified professional can offer. The news provider cited 2016 research from Public Health England, which noted that those living in care were “more likely to have no natural teeth and higher levels of tooth decay than elderly people living at home” in England and Wales. However, as Ms Munday’s experiences show, it can be a challenge to find a dental professional who is willing and able to provide their services to care homes. 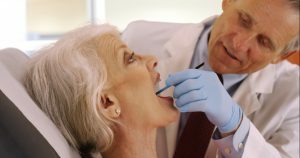 In December, the Express highlighted research which found that spotting incidents of poor oral health among the elderly could help prevent them becoming physically frail. This is because oral health problems can result in difficulties in eating and swallowing, affecting nutritional intake, as well as making speaking and smiling difficult. Looking for dental supplies? Get in touch with us here at Acerdent to see how we can help.